John Adams slept with Benjamin Franklin in a New Jersey tavern during the fall of 1776. They stopped on a journey from Philadelphia to Staten Island for peace talks with Admiral of the Fleet Richard Howe, 1st Earl Howe, and his brother William, who commanded British land forces. Just 10 days earlier, Washington and his army barely escaped capture on Long Island after a stunning defeat to the British. After the disaster, the Continental Congress debated for days about what to do. In Philadelphia, no one seemed to talk of anything but the Battle of Long Island. "The panic may seize whom it will," wrote Adams. "It will not seize me." And when John Adams slept with Benjamin Franklin, they didn't discuss the military catastrophe. They talked about the cause of the common cold. 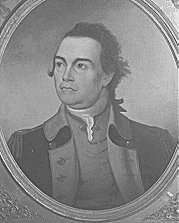 The British had captured Gen. John Sullivan during the Battle of Long Island. 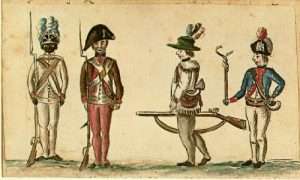 The brothers Howe then paroled Sullivan so he could take a message to the Continental Congress. They wanted to talk peace. John Adams did not like the arrogant Gen. John Sullivan, and he didn't like the message he carried from the British. In fact, it infuriated him. 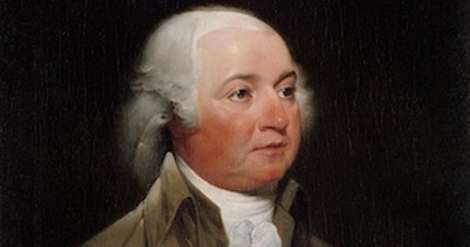 Adams thought – correctly – that the British wanted the Americans to renounce the Declaration of Independence. Sullivan came to Philadelphia and spoke to the Congress about peace talks. During his speech, Adams whispered they would have been better off if a musket ball had gone through Sullivan’s head at Long Island. Over Adams’ objections, the Congress decided to send a three-man committee to Staten Island. 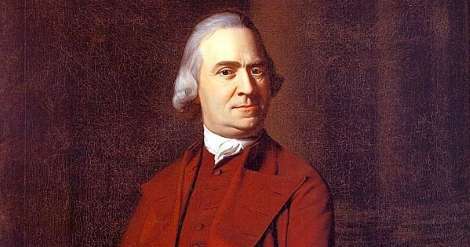 It included the oldest delegate, Benjamin Franklin, 70, and the youngest, Edward Rutledge, 27, from South Carolina, and Adams. The men represented the northern, middle and southern colonies. They set out on Sept. 9, Franklin and Rutledge each in a two-wheeled chaise, Adams on horseback. We saw such Numbers of Officers and Soldiers, struggling and loytering, as gave me at least, but a poor Opinion of the Discipline of our forces and excited as much indignation as anxiety. Such thoughtless dissipation at a time so critical, was not calculated to inspire very sanguine hopes or give great Courage to Ambassadors: I was nevertheless determined that it should not dishearten me. It was classic Adams: priggish and resolute. When the three men arrived in New Brunswick, they found the inns crowded. Franklin and Adams had to share a tiny room, barely bigger than the bed, in the Indian Queen Tavern. As they prepared to retire, Adams shut the one window. Adams explained he feared the evening air. “I believe you are not acquainted with my theory of colds,” Franklin said. 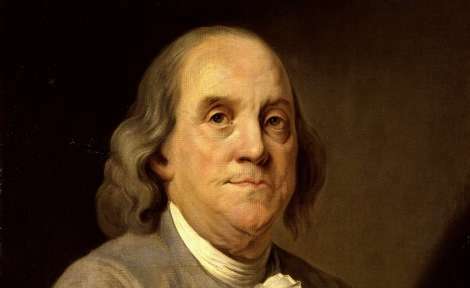 Franklin believed in the healthful benefits of fresh air. Contrary to popular wisdom, he thought people caught colds from each other when shut up in small rooms. Adams opened the window, leapt into bed and said he had read Franklin's theory that no one got cold by going into a cold church. 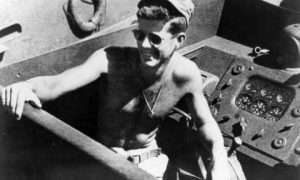 But that didn't jibe with his own experience, he said. Indian Queen Tavern, where John Adams slept with Ben Franklin. The peace talks failed, and the delegation returned to Philadelphia. The Indian Queen Tavern changed owners and names over the next century. Preservationists eventually restored the Indian Queen Tavern, but it moved from the corner of Albany and Water streets to make room for a highway entrance to Route 18. 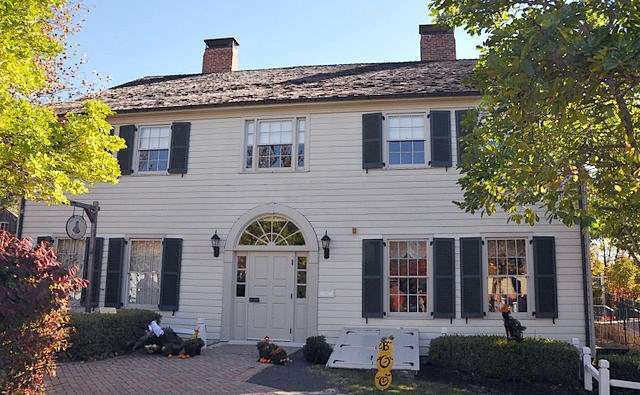 You can visit the tavern at East Jersey Olde Towne in Piscataway, N.J., a collection of historic and reconstructed homes and buildings from the region. "When John Adams Slept With Ben Franklin" was updated in 2019.